Coastal Wall Ties is renowned throughout Sussex and Hampshire as specialists in repointing brickwork and as flint work contractors. Our expertise is acknowledged by accreditations from highly-regarded professional organisations including the Guild of Master Craftsmen. Every client and their property, whether small or large, modern, listed or commercial, can have confidence in our outstanding levels of technical skill and service. What is pointing — and why does it fail? Pointing is the external part of the mortar joints laid between the bricks or flint work of a building. It must perform several vital functions including the prevention of water penetration, while allowing the wall to breathe. Age, weathering and decay are some of the contributing factors that can lead to joint voids where water may penetrate and a mortar repair, also called repointing, becomes necessary. Repointing not only restores the integrity of the brickwork, but significantly improves the cosmetic appearance of the building. 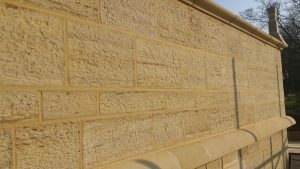 It’s crucial that the mortar used for repointing has similar performance characteristics to the original mortar. Strength and permeability must be assessed; for example, if a hard mortar repair is used on soft bricks, the bricks will degrade faster — and will be expensive to rectify. Part of our initial professional assessment involves taking samples of the mortar to ensure that the correct sand and binder are used, as well as ensuring that the repointing is matched as closely as possible to the original pointing mortar. The pointing process: what’s involved? The old mortar must be removed by a minimum of 20mm, ensuring that all mortar is removed to the top and bottom of the joint. We use 5″ angle grinders equipped with diamond mortar raking blades and dust extraction hoovers. If the use of power tools is inappropriate for the building, hand repointing tools including comb hammers are used. The walls are then washed down to remove all loose dust from the joints in preparation for pointing. When applying the new mortar, the use of a traditional hawk and trowel means highly-efficient application into the joint, ensuring there are no voids; the mortar is then shaped to the required finish. This listed property In Oving, West Sussex had previously been given a poor mortar repair with a strong sand and cement mix. After careful removal of the old mortar, repointing was carried out using pre-mixed lime mortar to a bird’s beak finish. 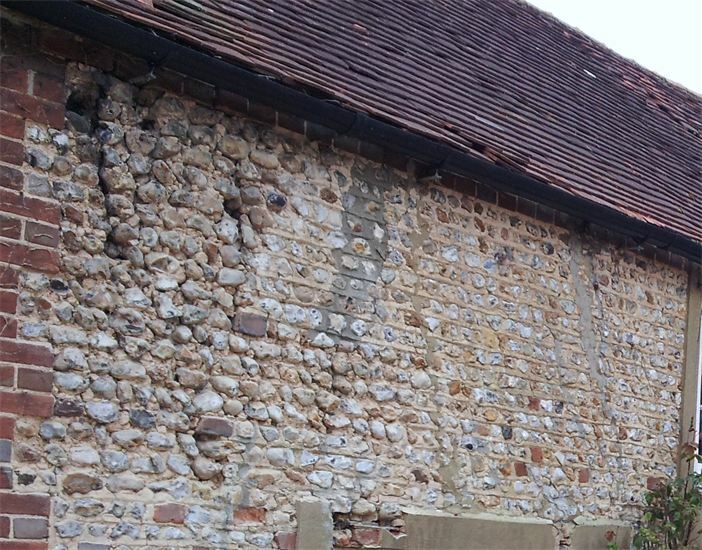 Lime mortar repointing offers an opportunity to both conserve a property and reflect its history using time-honoured traditional skills and materials. The Coastal Wall Ties team has a wealth of experience using many different mortars and finishes in various styles. 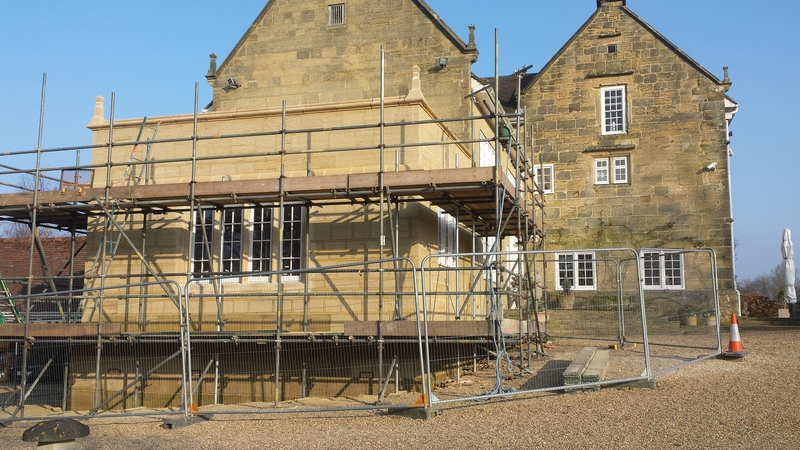 Our craftmanship is evident in our portfolio of work on listed properties at grades 1, 2 and 3. 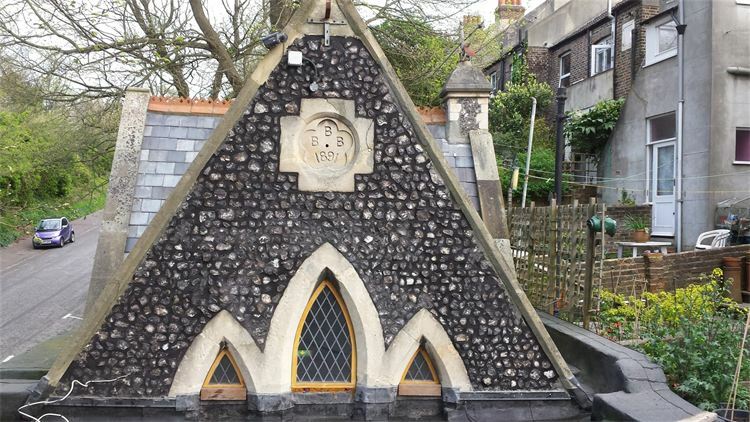 We were asked to repoint the flint walls of a crematorium in Brighton. 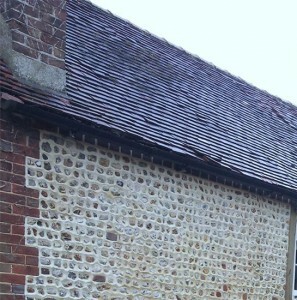 The lime mortar was carefully removed to a depth of at least 20mm using comb hammers, then repointed using a 3:1 lime mix (3 parts black sand: 1 part natural hydraulic lime). The results in the photo speak for themselves and are testament to the skills and expertise of the Coastal Wall Ties team. Coastal Wall Ties work on domestic properties in Sussex and Hampshire and we welcome contract enquiries from managing agents, architects and building contractors. We are fully insured and work to the highest industry standards with an insurance-backed guarantee. We are up to date and fully compliant with the latest Health and Safety regulations. Whatever the size of your project, we’ll help you to invest in your property’s maintenance as well as its good looks. You can reach Coastal Wall Ties on 01903 713053/07513 345231; email us at: enquiries@coastalwallties.co.uk or send an online enquiry. You may be assured of our professional, affordable and attentive advice.